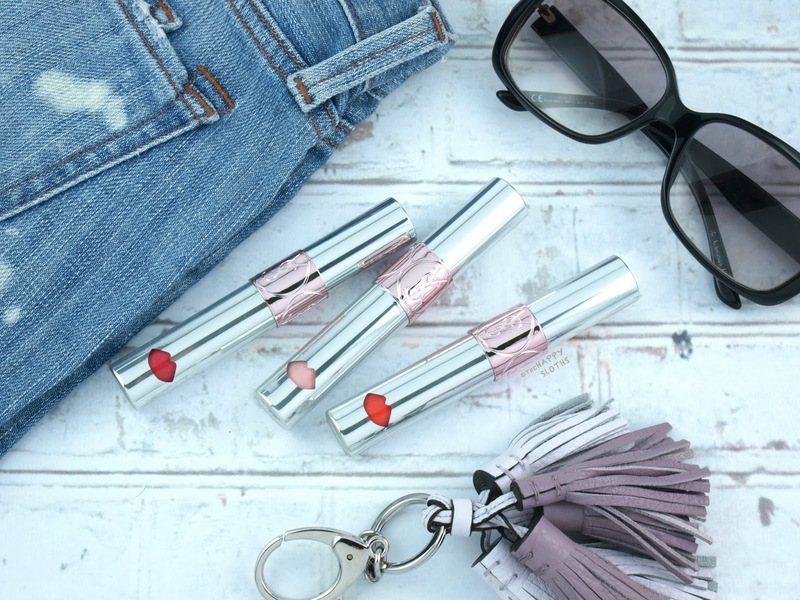 The Volupté Liquid Color Balm comes in a reflective silver tube. The midsection is embellished with a pink band etched with the iconic YSL logo. The doe-foot applicator has a unique lip-shaped design. It does a good job at spreading the product smoothly across the lips but in terms of precision around the lip lines, it's not as good as a standard, paddle-shaped applicator. 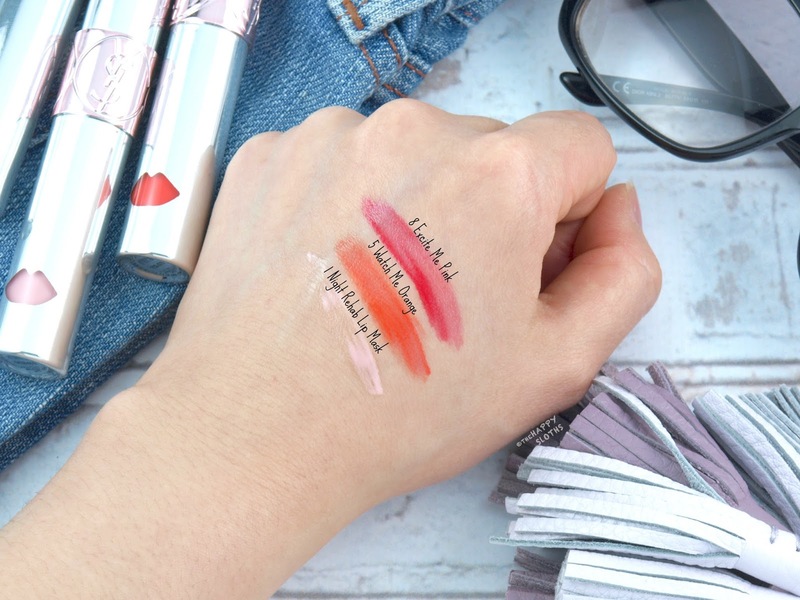 Made with 35% water, the Volupté Liquid Color Balm is described as a "medium coverage, lip-loving, high shine liquid lip color that moisturizes and protects". The formulation has a light, cooling sensation that's not too different from that of the YSL Glossy Stains (reviewed here). Infused with shea, vitamin E, coconut water, macadamia oil, jojoba oil, apricot oil, and pomegranate extract, the Volupté Liquid Color Balm feels super hydrating and comfortable on the lips. The finish is shiny but not at all sticky. Like the Glossy Stains, these provide the lips with a noticeable "wet" feeling. The colors are buildable but a light application works best to prevent bunching and pooling. The finish isn't transfer-proof so the color will fade very easily with kissing, eating, and drinking. Overall, the Volupté Liquid Color Balm is pretty much a just a variation of the original YSL Glossy Stains. However, the formulation doesn't stain the lips as much but it feels a little more moisturizing and cushiony. 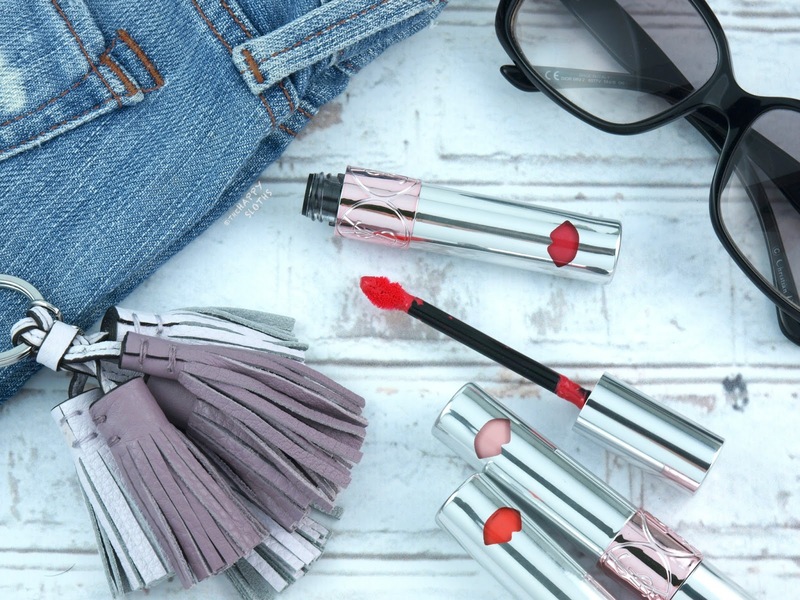 If you are a fan of non-sticky, moisturizing lipgloss or lip oils that give the lips a cool, "wet" feel, then definitely give these a go. 1 Night Rehab Lip Mask: This is a milky pink liquid balm intended for nighttime wear. With that said, it can be worn any time of the day if you want a pale wash of pink. As far as I know, the formulation is the same as that of the other shades. 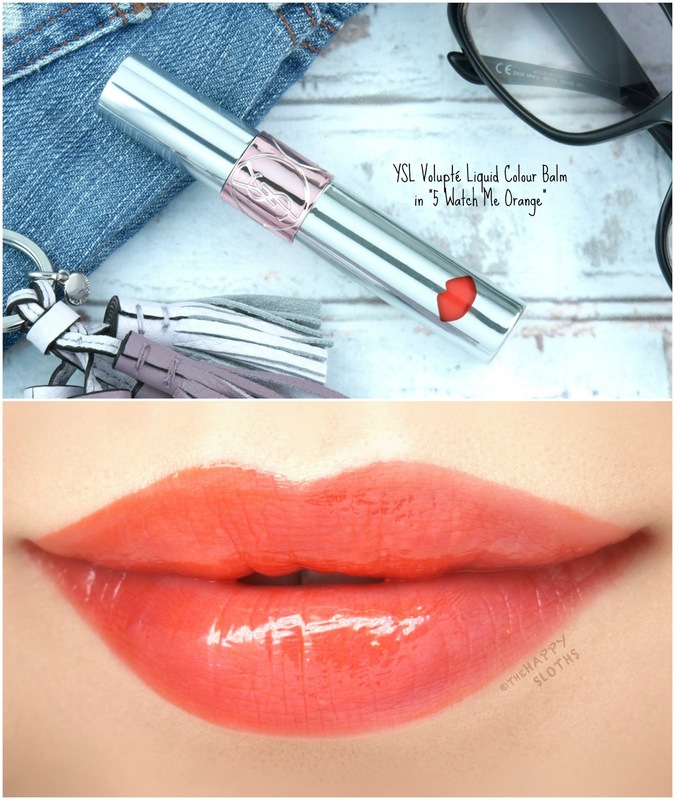 Yves Saint Laurent | Volupté Liquid Color Balm in "1 Night Rehab Lip Mask"
5 Watch Me Orange: A bright coral-orange, this shade is nicely pigmented and very shiny. The color is fun and bold, perfect for the summertime. 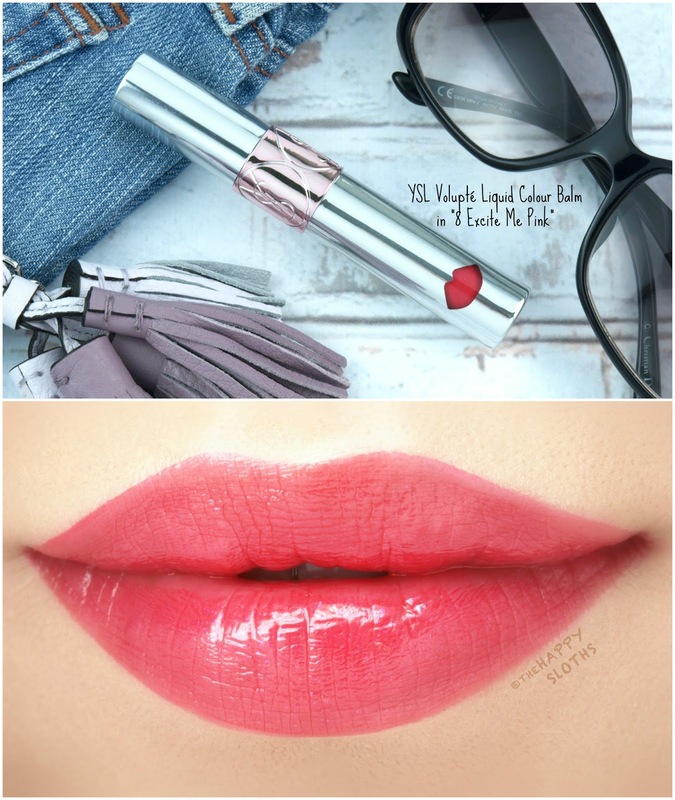 Yves Saint Laurent | Volupté Liquid Color Balm in "5 Watch Me Orange"
8 Excite Me Pink: Undoubtly my favorite out of the three, this is a gorgeous bright pink. The color seems to apply a bit patchy at first but with a few smoothing strokes, you can attain an even, semi-translucent finish. This one leaves behind a flattering pink stain. 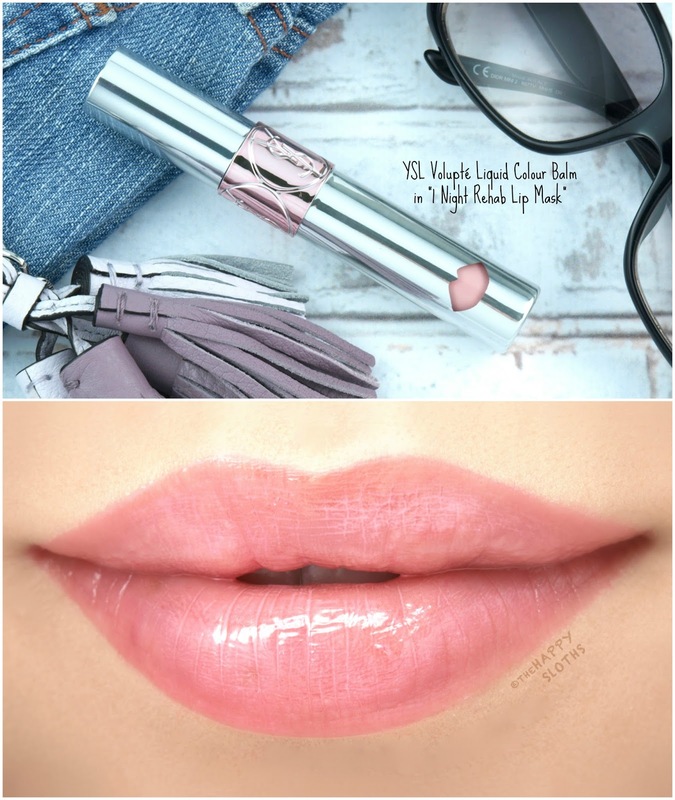 Yves Saint Laurent | Volupté Liquid Color Balm in "8 Excite Me Pink"